Thanks to the $649-million Building Excellence IV Capital Levy approved by 72 percent of Seattle voters in 2013, 17 public schools are receiving much-needed upgrades. Five schools have nearly reached completion: Arbor Heights Elementary School, Thornton Creek Elementary School, Hazel Wolf K-8 STEM School, Seattle World School and Genesee Hill Elementary School. All five opened for tours last week, much to public delight. 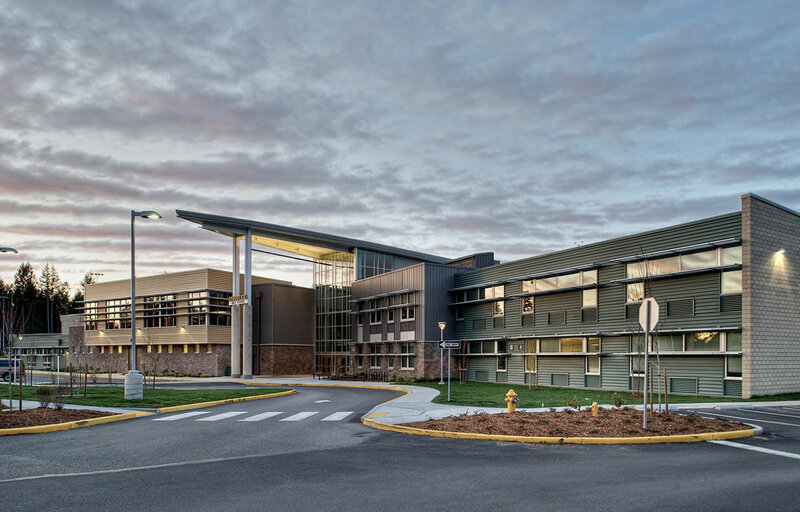 While we await the final touches on those five Building Excellence IV schools, let’s marvel at three schools in the Greater Seattle area with A+ architecture. 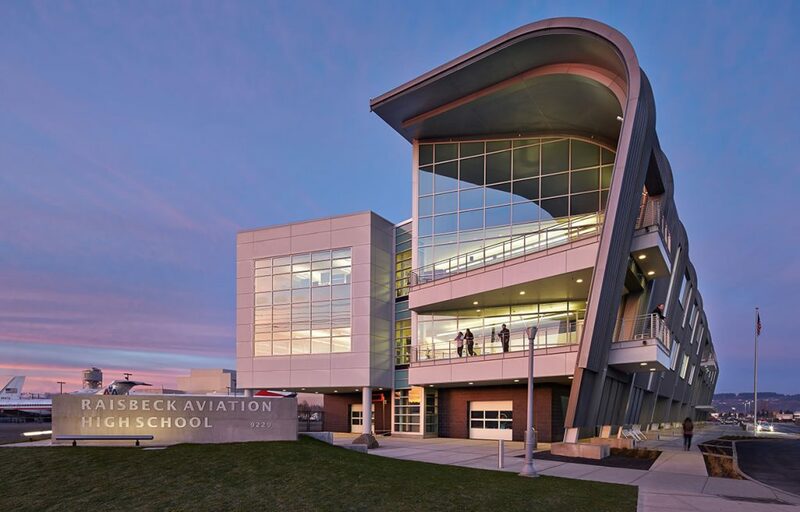 Designed by Bassetti Architects, they make it clear that education architecture is a unique specialty that requires facilities that enhance learning while boosting community pride. Though it bears a striking resemblance to a magic castle, Stadium High School was originally constructed in 1891 to be a luxury hotel. The Northern Pacific Railroad Company and Tacoma Land Company financed the hotel, but the railroad failed financially and the hotel was never completed. It was boarded up until 1904, when it was acquired by the Tacoma School District. 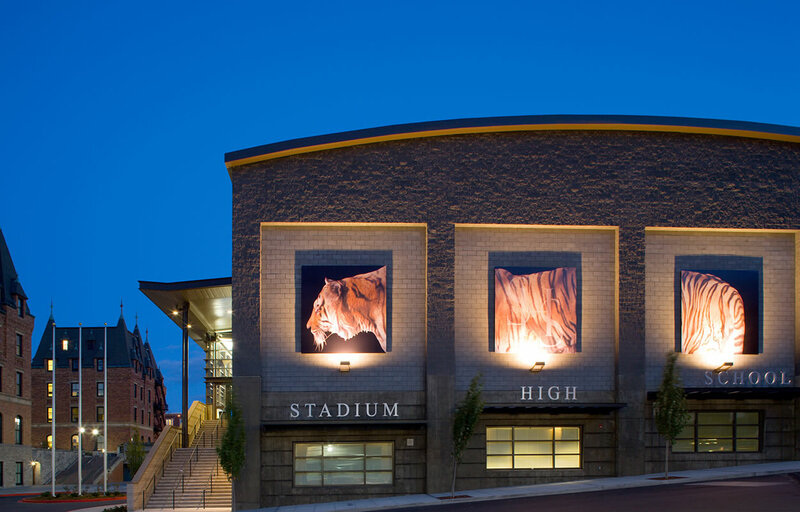 The school was renovated by Bassetti Architects in 2006, and now boasts a new performing arts and athletic center, a multi-school stadium and field and a 200-stall parking structure topped with tennis courts. The designers were careful to preserve the historic character of the building while improving seismic safety and the electrical system. 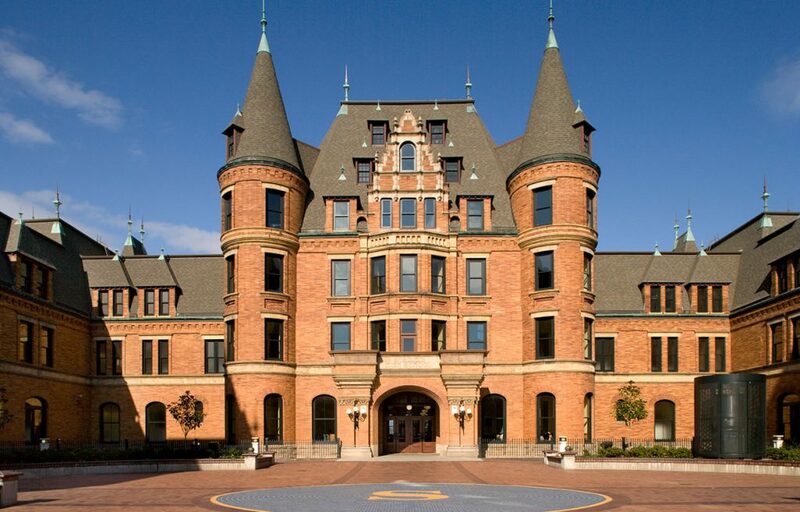 You may also recognize Stadium High School from the 1999 rom-com classic “10 Things I Hate About You,” starring the late Heath Ledger and Julia Stiles. You’re just too good to be true, Stadium High School. Surrounding the agora are spaces for career and technical education and areas available for community organizations to use. 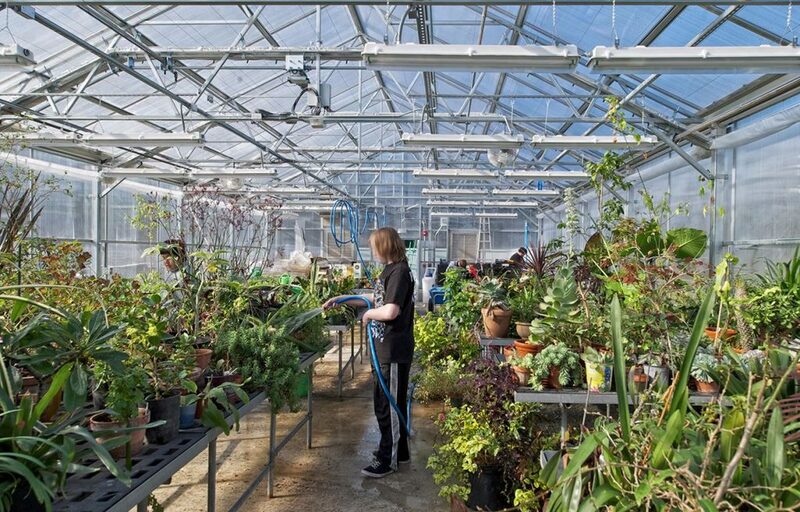 The horticulture, carpentry and culinary arts programs also operate as real businesses. Just look at that greenhouse glory. Raisbeck was completed back in 2013 and has been hosting STEM-savvy teens ever since. 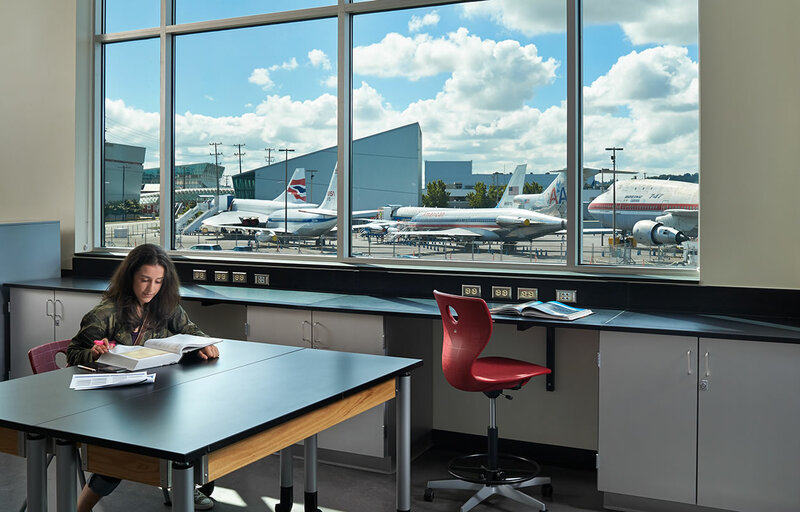 Located adjacent to Washington’s Museum of Flight, the school’s labs on the ground floor open up to the museum’s Airpark, and are designed to support Raisbeck’s robotics program. They’re outfitted with plenty of equipment and even a wind tunnel, says Bassetti Architects. Big windows overlook airport activity to the east and boat traffic on the Duwamish River to the west. The three-story building features a grand central stairway where students can meet up to talk robots, planes and puberty!